The architectural design requirements of storefronts and building facades vary. Destin Glass works with each architect to determine which finishes best suit the versatility and aesthetic needs of each project. The ultimate objective is to achieve both beauty and durability. Anodized finishes accomplish both of these, offering many years of maintenance free durability and are available for both front and center load, as well as curtain wall systems. When brighter colors are called for, powder coated metal finishes offer more brilliant color options and are stronger than paint. Whether the project calls for traditional paint, powder coating or anodizing, custom colors can easily be created, bringing the most imaginative architectural designs to life. Today’s standard for interior storefront design has become heavy glass, frameless mall fronts. Destin Glass offers a variety of extrusion designs and finishes to accent mall storefronts. 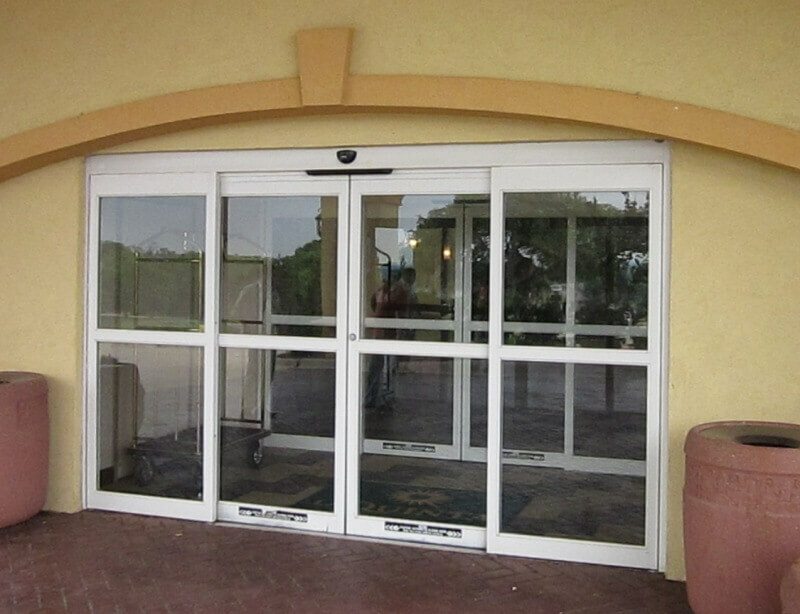 Destin Glass also offers interior sliding mall front doors which provide after hour security and can be slid into pockets for unobstructed entry. We supply all types of finishes from stainless steel, brass, aluminum, painted, and custom cladding, with a wide range of products for every application – large or small, interior or exterior. We also offer a wide range of glazing & metal finishes which gives us the most versatility to customize heavy glass work in the mall front industry. 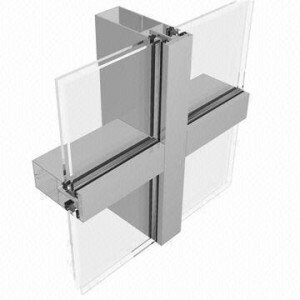 Curtain walls differ from store-front systems. They are designed to span multiple floors, taking into consideration design requirements such as: thermal expansion and contraction; building sway and movement; water diversion; and thermal efficiency for cost-effective heating, cooling, and lighting in the building. The aluminum frame of a curtain wall is typically in-filled with glass, providing an architecturally pleasing building, while allowing natural light to penetrate deeper within the building. 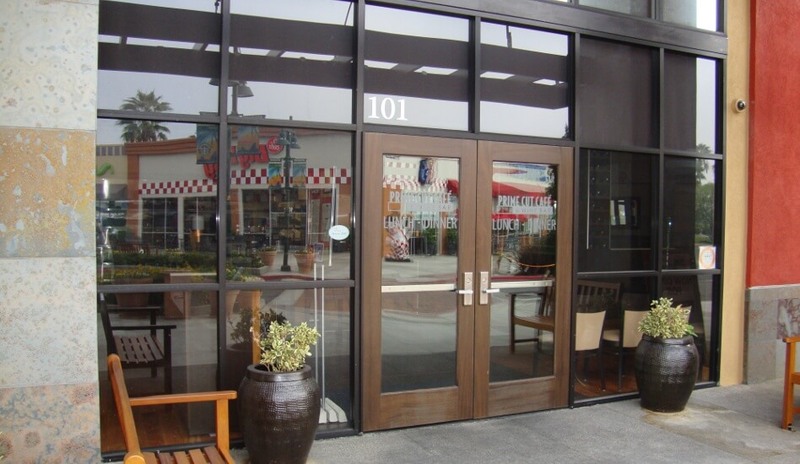 Automatic Sliding Doors are an easy way for Customers to access your business easily and they provide handicap accessible entry and energy savings to your business. These are often used in retail, healthcare and hospitality establishments where easy and quick access is a necessity. 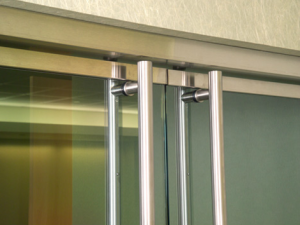 Vortex can help with most of your automatic door needs by providing a diagnostic and safety test of your system to quickly determine what repairs are needed. Once repairs are made you can be sure that we will notify you of any problem areas or if your doors do not comply with current AAADM safety standards to help protect you and help avoid any potential injuries to your Customers. 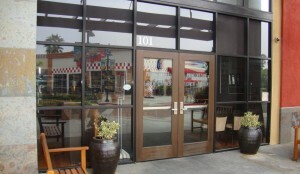 An all glass entrance door offers an attractive and inviting option for your store front or office. 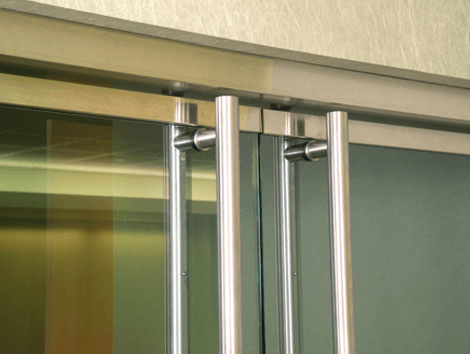 Whether it’s an executive office or mall storefront application, Herculite doors make a bold design statement while allowing maximum light to flow into your office or business. With a wide variety of metal and hardware finishes, we can create a look that’s uniquely yours. 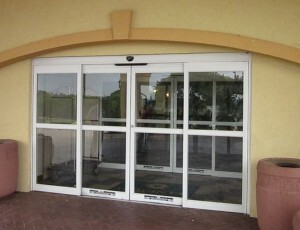 Destin Glass offers Herculite door entrances in single and double design options to suit your unique application. Our expert glaziers come to your location to present the available options and discuss your unique needs. Want beautiful glass for your home or business? You have come to the right place! We look forward to working with you and revealing the real potential of glass edgework types. You’ll be amazed at what we have to offer! Destin Glass has been servicing servicing Destin, Sandestin, Miramar Beach, Fort Walton Beach, Santa Rosa, Niceville and the surrounding Florida Emerald Coast since 1979!